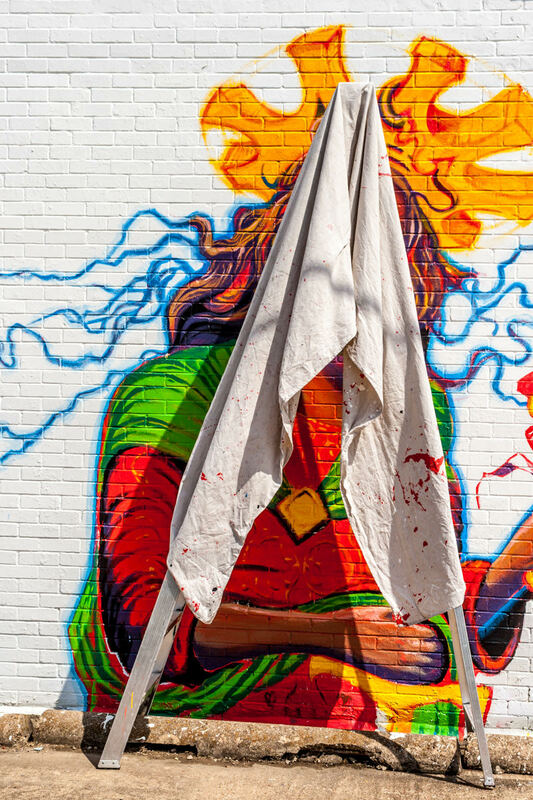 A painter’s drop cloth draped over a ladder obscures a mural of Jesus Christ on the outside of a shop, Oak Cliff, Dallas. 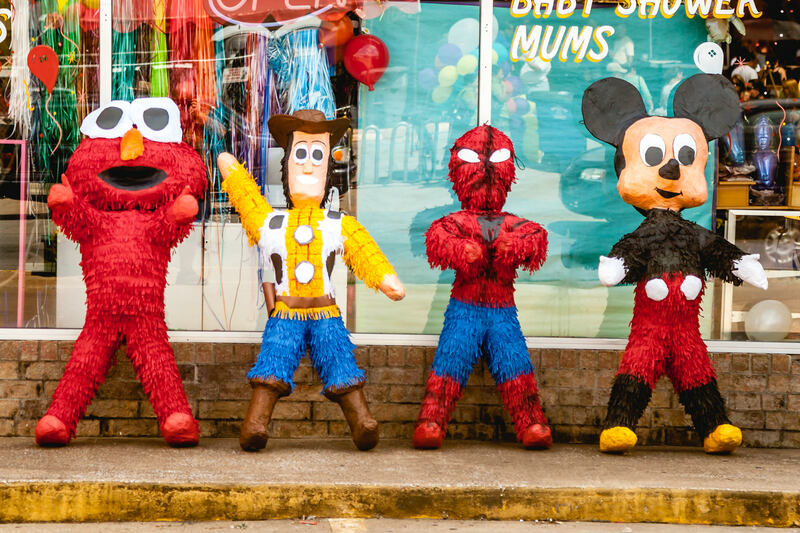 Piñatas depicting Elmo, Woody, Spiderman and Mickey Mouse spotted outside a shop in Oak Cliff, Dallas. 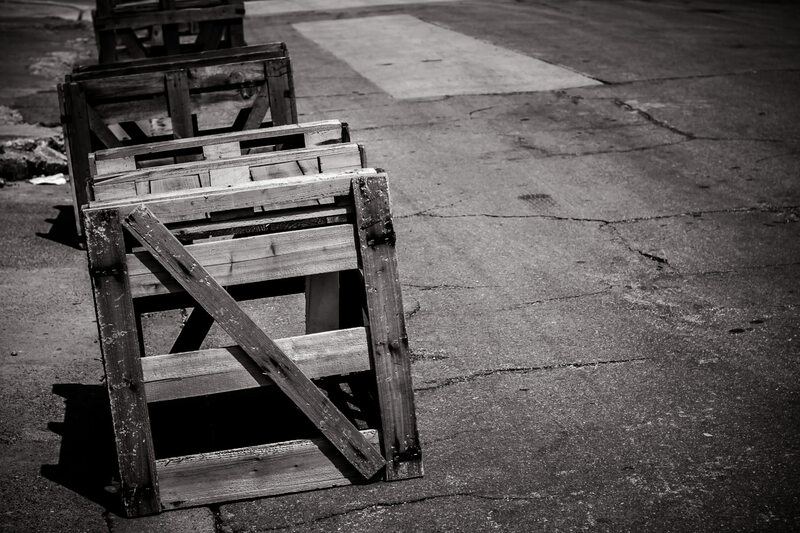 A line of crates being used to block access to a road in Oak Cliff, Dallas. 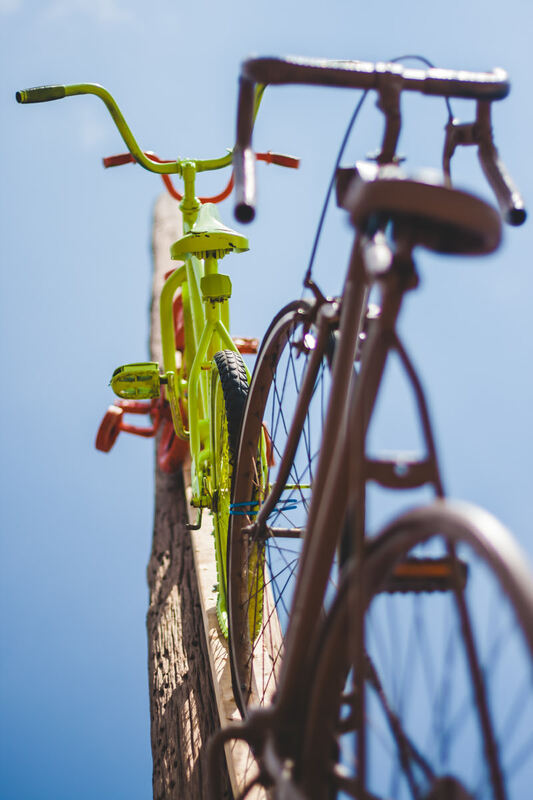 Bicycles mounted on a telephone pole in Oak Cliff, Dallas. 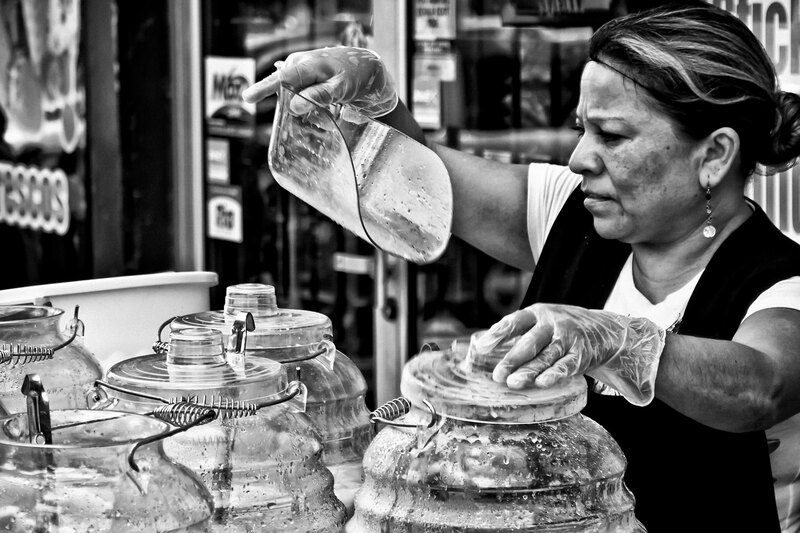 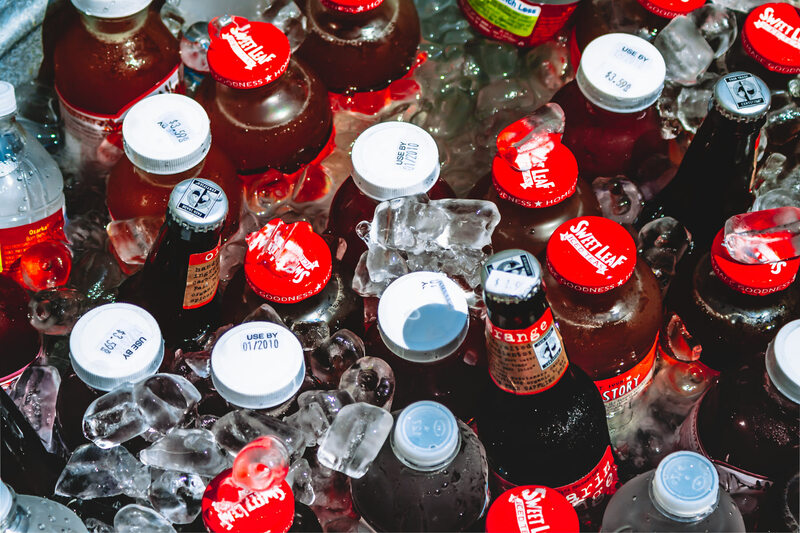 Drinks for sale outside a West Dallas Bodega.